Chris reflects on an intense weekend at Blizzard's annual knees-up. Over the past 10 years, BlizzCon has grown to become one of the preeminent annual gaming conventions. 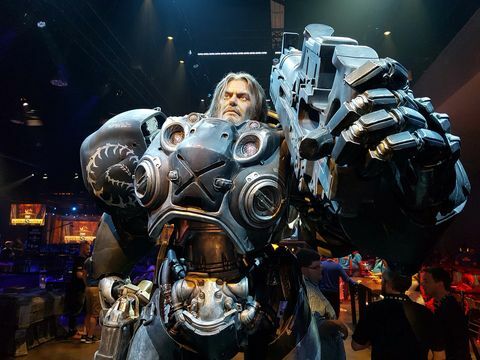 It's a massive fan oriented celebration of everything that Blizzard was, is, and aims to be. BlizzCon 2016 marked a number of massive milestones for the company: 10 Years of BlizzCon, 20 Years of Diablo, and 25 years of Blizzard itself. 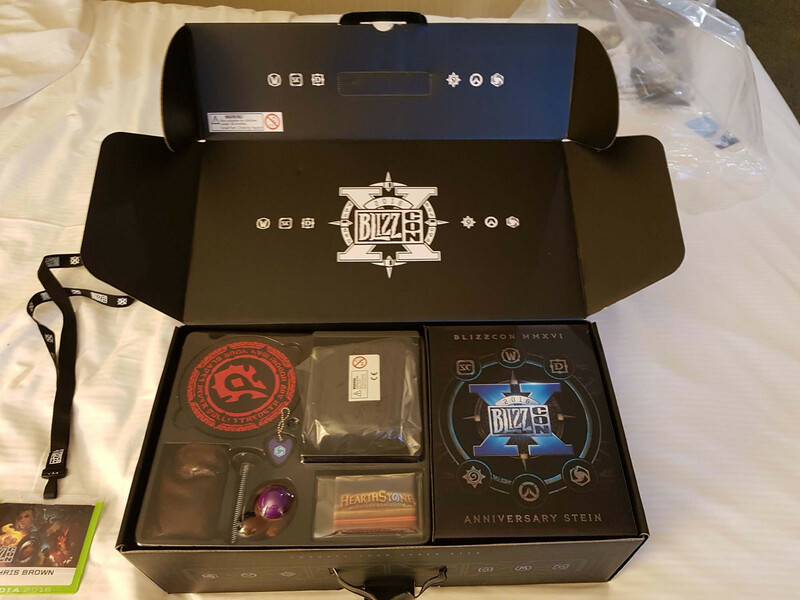 As a result, expectations were high that this year would see some major announcements for some – if not all – of the Blizzard franchises. And if the fan-fed rumours were true, we would be seeing massive news for Diablo, with rumblings of an expansion or even a sequel. The reality was that in most cases, these expected announcements never happened. No new games were announced, no sequels, or even any expansion packs. There was new content a-plenty and a robust roadmap for all of Blizzard's titles for the foreseeable future, but nothing earth-shattering. Because of this, there are some that are saying that this year’s BlizzCon was a bit of a dud, a disappointment, or a flat-out failure. I do not share that sentiment. 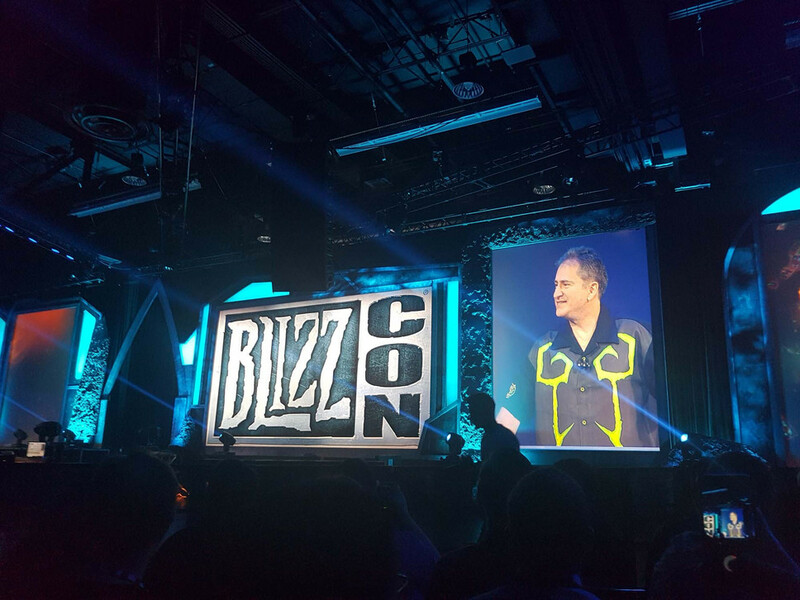 I think that BlizzCon 2016 succeeded in achieving exactly what Blizzard intended to be: an expression of appreciation for its fandom. The caveat being that you needed to be there to fully appreciate it. 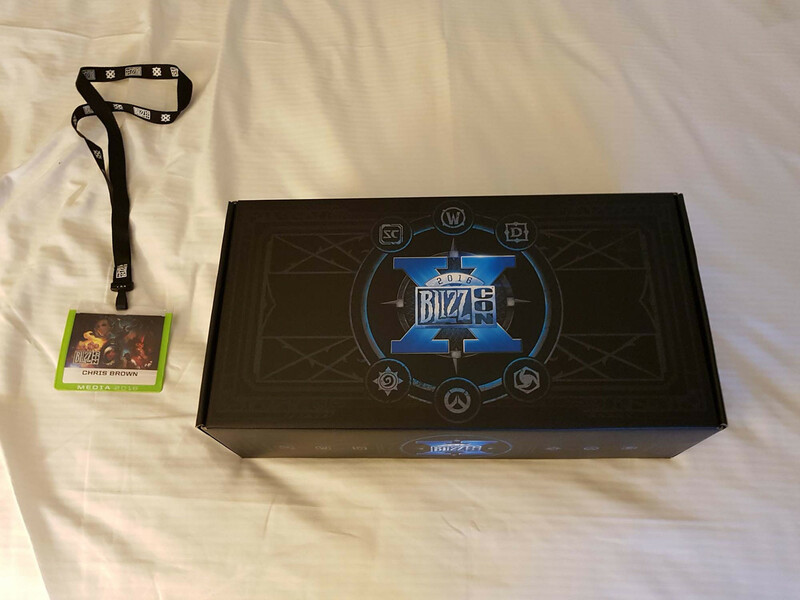 The two days I spent in the Anaheim Convention Centre with more than 30,000 other fans all gathered together to share their love of all things Blizzard were nothing short of spectacular. Seeing fandom on this scale was a real eye-opener, and frankly not something I was prepared for. There were about as many people in this one building as there were in my home town growing up. The convention center itself is massive, and BlizzCon fills every corner of it. The ground floor consists of two stage spaces, three massive tournament stages, and a dedicated StarCraft 2 arena. In the middle of this, you can find high-end PCs all hooked up for players to play either competitively, or to check out any of the new content announced throughout the event. Upstairs is a faire, with face painting, 'meet the devs' events, and a photo booth, among other fan-oriented experiences. There is also a dedicated collector’s area with two more smaller stages nearby. There was even a Hearthstone-themed pub called the Hearthstone Tavern. Oh, and the enormous Hall E downstairs where the Blizzard shop was housed. One article cannot do justice to the experience of walking the BlizzCon floor and soaking in the atmosphere. During my two days, I spoke to hundreds of fans, and every one of them was friendly and equally happy to be there. I spoke to newbies who were just as awestruck as me with the scale of the event and the feeling of community in a city’s worth of people. I spoke to Con veterans who talked of how they watched the event grow from year to year, and were just as excited to be here as they were in previous years. The various communal areas were packed with people discussing the most recent tournament matches, to who they were maining in Overwatch, or if the queues in the store had gotten smaller. Not once in the dozens of conversations I had or overheard did I hear a single word of negativity or disappointment. The mood during the whole event was nothing short of celebratory. Each of the packed tournament stages felt and sounded like the Cake Tin during the Rugby 7s. The Overwatch games pulled in some of the largest and loudest crowds, but even the more sedate Hearthstone had a very vocal audience reacting to every play. The StarCraft 2 arena, though, was truly spectacular, and the final itself jaw-dropping. The entire arena space was completely filled well before the match even began, and the actual match itself was an almost surreal experience. The audience would explode in cries of celebration of commiseration at every play and counter-play. The announcer displayed the frantic energy and full-contact vocal kung-fu you would expect from a jacked UFC announcer. And the crowd ate up every single word. The energy in the room was unlike anything I have ever experienced. The final play, win, and celebration was intense to a degree I have never experienced, and all of it for a video game. This by itself was vindication for every snide comment I have ever had aimed at myself when I identified myself as a gamer. This was gaming nirvana, and every single person in attendance was feeling it. My take away is that BlizzCon really isn’t about the announcements. It’s a celebration, and you could see it everywhere you looked. Every one of the various large statues had an ever-changing crowd of fans eager to take pictures. The massive Tracer action figure actually had queues at various times of the day. Cosplayers were constantly being asked for pictures, and every one I saw was more than happy to oblige and strike a pose. The Art of Blizzard exhibition was filled with quiet conversations recalling first time experiences, and a general feeling of nostalgia. 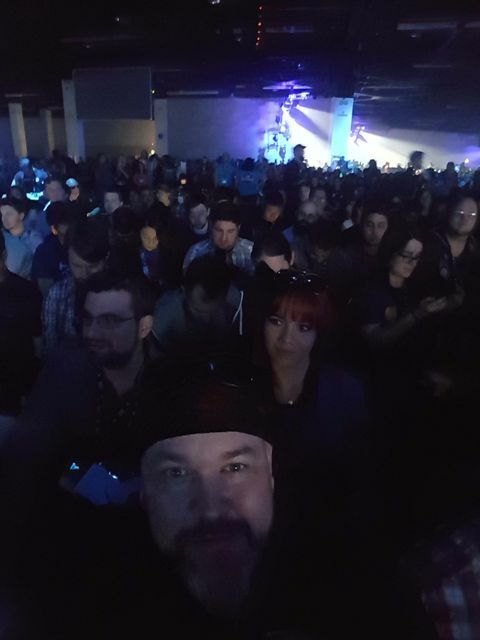 While more announcements would have been great, the fact that there was no Diablo 4, StarCraft 3, or World of Sanctuary didn’t take away from the event for a single second for anyone in attendance. From my perspective it was an almost perfect example of how gaming can really build a strong and diverse community outside of the games themselves. It also demonstrated just how much respect Blizzard has earned from its fans over the years that even after more than two decades it’s stronger now than it has ever been. This is why I honestly believe that BlizzCon 2016 was an unqualified success. From Mike Morhaime’s opening address to Weird Al’s closing concert, it was a celebration and the perfect space where fans could just be fans and let their geek flag fly. 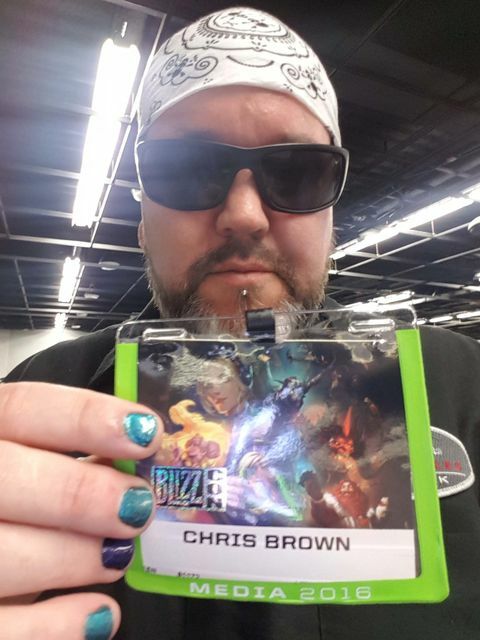 ◆ Chris travelled to BlizzCon courtesy of Blizzard.